Some shrubs get into my garden as grateful refugees, others as happy accidents. 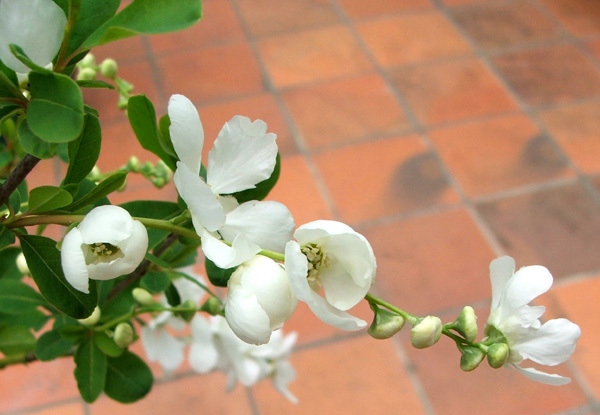 My two standard Exochordas were both. They had been sitting around in a local nursery going nowhere, and when I saw their common name was 'The Bride' I was hooked. There's always a reality romantic lurking beneath the grubby fingernails and dishevelled fringe of an older-lady gardener. It's why we (well, some of us) record and watch episodes of TV programmes like The Bachelor (though we usually get cross and switch him off when our favourite girlie is sent home, hee hee). 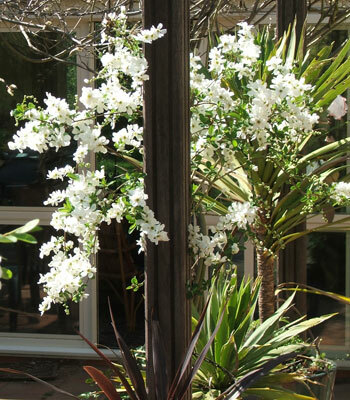 When the Brides are past their best they're unceremoniously plonked in the garden behind a sturdy New Zealand striped Phormium until the same time next year. Oops - symbolically this is going from bad to worse. 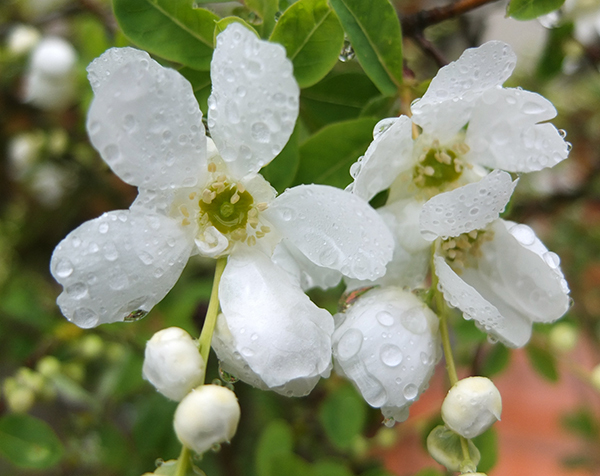 Exochorda - A Wet Bride!